Forays of a Finance Foodie: Lady GODIVA Honoree Brunch: A Marvelous Mix Of Philanthropy, Style And…Chocolate! Lady GODIVA Honoree Brunch: A Marvelous Mix Of Philanthropy, Style And…Chocolate! The financefoodie.com team was lucky enough to be invited to the Lady GODIVA Honorees Brunch held back on March 4th at the Rent The Runway department at Henri Bendel’s on Fifth Avenue. Not only was it great to learn all about and meet this year’s three honorees—great ladies who started their own charities, one of whom had struggles with addiction and homelessness—but the 40 to 50 press guests were able to enjoy a world-class chocolate brunch based around chocolate themes created by GODIVA and their PR team. It was a pleasure to behold the creative cuisine that came out of the kitchen including Godiva chocolate pop-tarts served straight out of a vintage toaster and mini Godiva chocolate milkshakes served in vintage milkshake glasses. 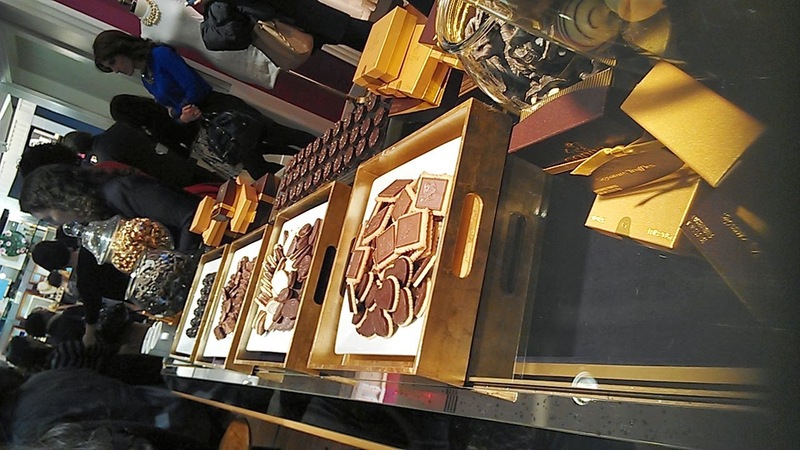 Trays and boxes of every variety of GODIVA were scattered about—including on the seats inside the dressing rooms! The honorees sported cocktail and formal looks thanks to the good folks at Rent The Runway and were awarded a cool ten grand each for their respective charities thanks to GODIVA CEO, James A. Goldman--who indulged in the chocolate brunch goodies along with the rest of us. 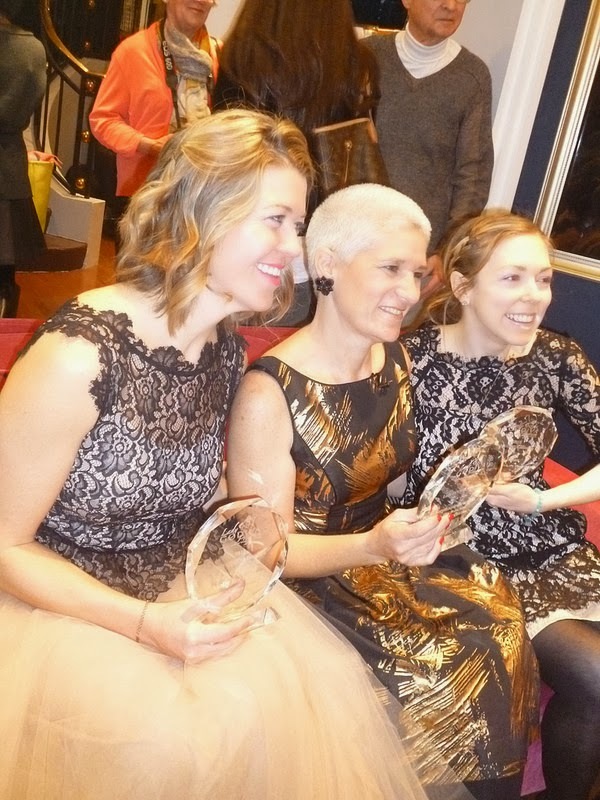 Jenny Fleiss, co-founder of Rent The Runway and Jeri Finard, GODIVA’s North American division president, also spoke to the crowd about how proud they were of the honorees! The selfless ladies who were this year’s nominees were Erin Dinan of New York, NY, who founded One Sandwich At A Time Inc. (www.onesandwichatatime.com), who personally passes out sandwiches at homeless shelters with a team of up to 50 associates; Stephanie Bowman of Orlando, FL, founder of One Heart For Women And Children (www.oneheartforwomenandchildren.org) who helps the needy in Central Florida by giving out food to at least 2,000 people per month and Molly Rockamann of Ferguson, MO, founder of EarthDance (www.earthdancefarms.org), which offers an apprenticeship program at an organic farm in St. Louis. If you want to learn more about the Lady GODIVA program, visit www.ladygodivaprogram.com. You can even nominate your own worthy candidate who epitomizes the Lady GODIVA spirit!